The February 2019 Investment Planning Knowledge Circle will be held on Wednesday, February 27th at 3 pm ET. Guest speaker Launi Cooper will be presenting, "Housing Wealth Strategies in Retirement: The New FHA Reverse Mortgage." Strategies on Using a Home in Financial Planning – a brief overview of today's Reverse Mortgage tool, recent changes and how the experts are putting it to work in a plan. Launi Cooper has had an extensive career in the Real Estate Industry, beginning back in the 1970’s as a young student working for her Mom in her Real Estate Business. In 1986, she received the Eugene L. Williams scholarship award from the Sacramento Board of Realtors, allowing her to finish her BS in Business, with a concentration in Real Estate & Land Use Affairs at CSU Sacramento. During school she worked in the lending industry specializing in Government insured loans. After graduation, she accepted a position as an appraiser trainee, later going on to own her own Appraisal company with a partner. 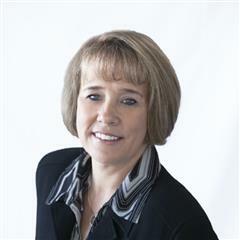 In 1995, she joined Del Webb at Sun City Roseville as a loan officer. The next year she moved into Sales, beginning a 13 year sales and sales management career which earned her multiple MAME volume awards and the 2008 Sales Manager of the Year for the North State Building Industry Association.